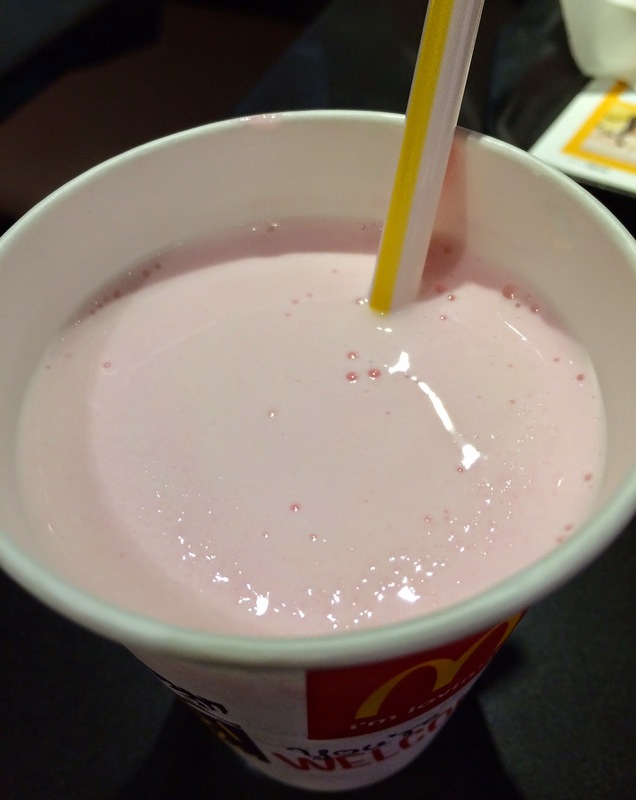 McDonald's Japan launched a new limited time flavor, "McShake Cherry" on March 31, 2015. 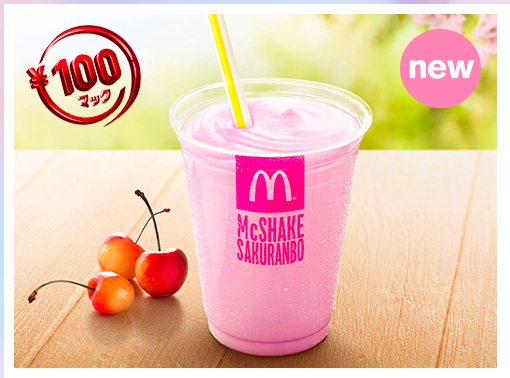 In Japanese, it's "Makku Sheiku Sakuranbo," and sakuranbo means cherry. The advertisement was drawn by a Japanese-stayle paint illustrator, Mr. Katsuhisa Suzuki. 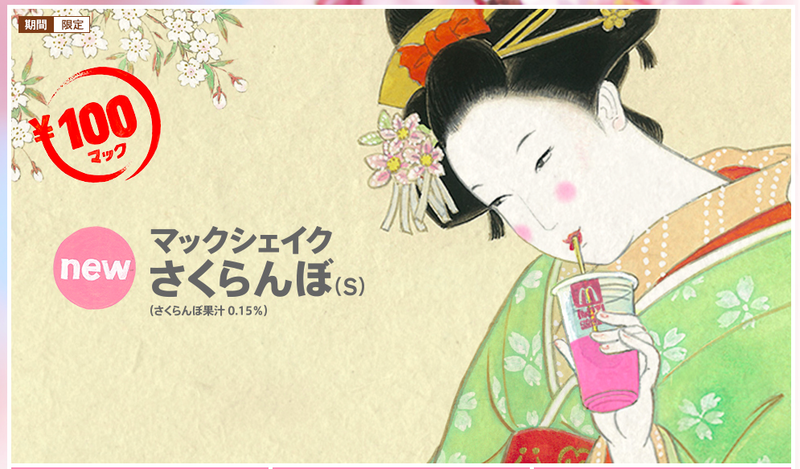 The concept is a young woman enjoying McShake Cherry in Edo era. In Edo period, it's considered indecent and shameful to eat and drink in public for young females, especially those from samurai and merchant family, and parents prohibited their daughters from doing those. And Mr. Suzuki used an imagination and drew a young female drinking McShake privately underneath cherry blossom without attracting notice. I got a small, and as I thought, they used a paper cup even though the advertisement is transparent plastic cup. 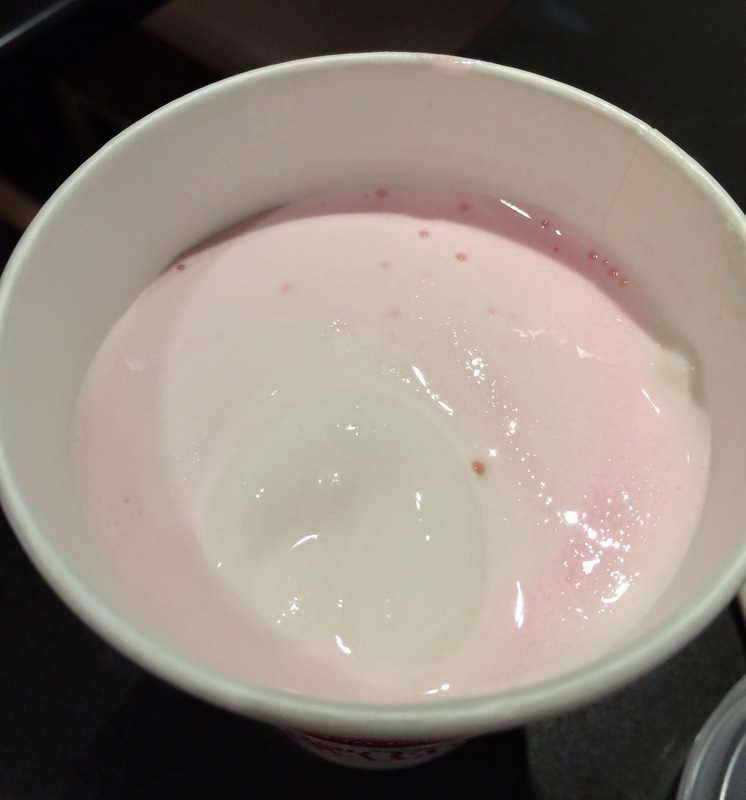 When I too of the lid, there're milk shake and pale pink shake. When I mixed it, the color became even but still the depth of the color was far from the advertisement. The flavor was almost milk, and aftertaste had a few cherry scent. Only 0.15% of fruit juice is used so that it's understandable it had such a weak flavor. Both the color and the flavor was quite different from the image I had, and the cherry flavor was hard to notice. Yeah, banana was quite good and it had rich flavor.